The community of Fulshear was established back in 1824 by Churchill Fulshear, one of Stephen F. Austin’s Old Three Hundred settlers. 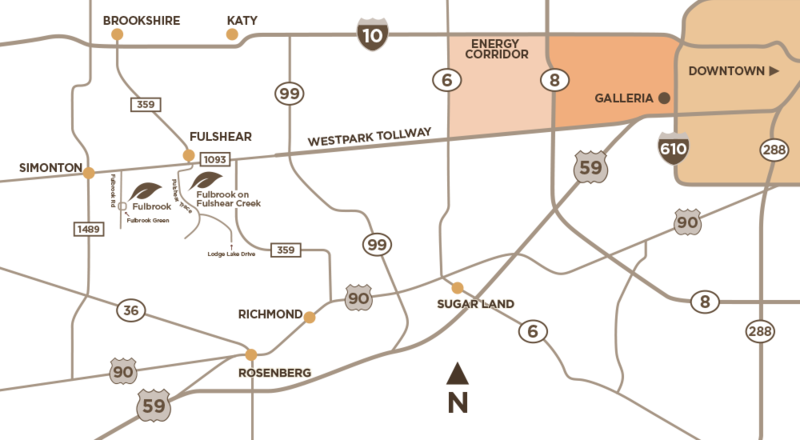 Originally centered around cotton and flour, the area experienced a boom in 1888 when Churchill Fulshear, Jr. granted right-of-way to the San Antonio and Aransas Pass Railway. 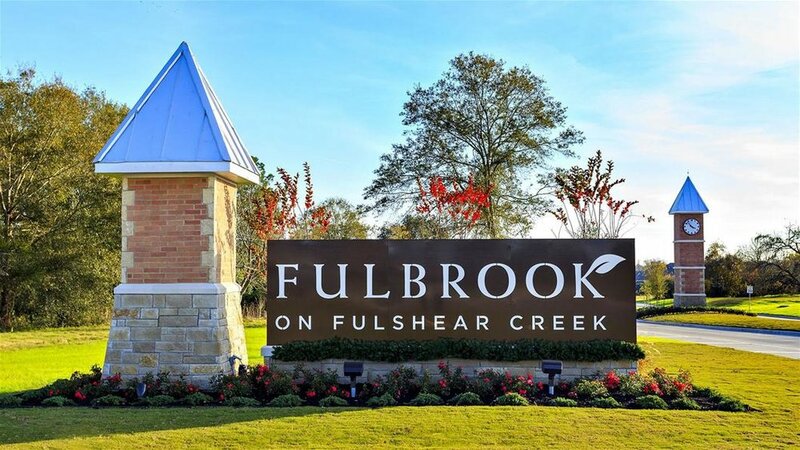 Families can enjoy a variety of indoor and outdoor activities at Fulbrook on Fulshear Creek plus resident events organized by its own lifestyle coordinator. Relax at the fireplace, play cards, enjoy televised games—residents can have it all by reserving the lodge. The fitness center is open early and late for those seeking more strenuous activity. Outside, there’s croquet, bocce ball, hiking and a playground. Or you can experience live music and other events at the Amphitheater on Huggins Lake.